As HVAC equipment increases in efficiency and gets more complex this requires more knowledgeable and skilled technicians to service and repair heating and air conditioning equipment. Select an air conditioning company whose technicians are certified and have hands-on experience with your system. Due to rapid advances in the industry technical updates on new air conditioning technology is essential, look for organizations that provide technicians certified by North American Technician Excellence (NATE). 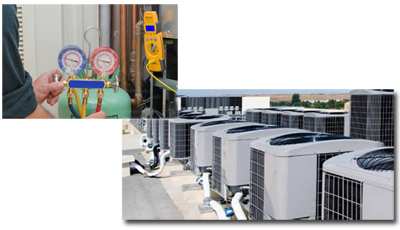 Choosing a HVAC contractor should include checking with the Texas Department of Licensing and Regulation (TDLR). Be sure that the HVAC contractor's license is current and check if the TDLR has a history of disciplinary actions or complaints published on their website at www.tdlr.texas.gov.